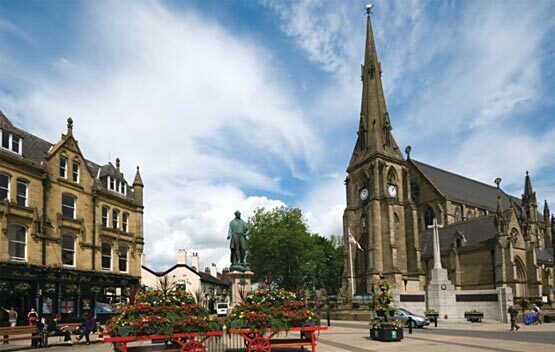 Quality servicing in Bury at highly competitive rates. Get a better service than the main dealer at a lower cost! We collect, service/repair/MOT and return your vehicle. Are you postponing your car service due to lack of time? For most people, car service means a day's work involving two trips to the dealer garage. Apart from the inconvenience and high prices, you may have to wait for days to get an appointment. Instead of disrupting your routine and paying through your nose, a trustworthy local garage that offers good service is a much better option. If you are looking for car service in Bury, we can help you find the right garage. When you use our service, you don't spend time looking for or negotiating with a garage. All you need to do is complete and submit the online booking form on this page. We will assign your service request to one of the best garages in Bury depending on your vehicle make and model. The garage will contact you and you can mutually decide on a convenient time and place to pick and drop your car. You will also get the service cost upfront. The service team at the garage will contact you after your car arrives at the garage. They will discuss the nature of the service and any additional work in case that is required. Additional work is done only after your approval. The cost for such work is also agreed beforehand. After service, the garage will return your car as agreed. Use PayPal or your credit card to pay online. It's simple, no need to wait for days for an appointment and no need to visit the garage in person. Get a service that is as good as the main dealer without the hassles. 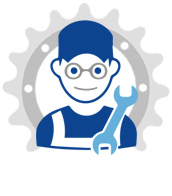 Our network garage will provide a service according to the service schedule specified by the manufacturer in your service book. This could be a minor, interim or major service depending on the age of the car and the number of kilometres travelled. If your car is due for an MOT test, we can perform it for you. The MOT certificate is mandatory in the UK and is proof that your car or van has passed the test and meets the minimum requirements to be roadworthy. The test is mainly related to the basic maintenance, emission control and safety of your vehicle. We provide all types of car and van services and repairs and perform MOT tests as well. Besides regular servicing, your vehicle may need occasional repairs as it gets older. Our garages perform all types of major and minor car and van repairs. Here are some repair jobs that we undertake. Exhaust repair: A malfunctioning exhaust system may not bring your car to a halt, but it is a serious fault and must be addressed. Components of the exhaust system tend to deteriorate over time. Apart from the higher noise levels and increased emissions, a malfunctioning exhaust could cause the "Check Engine" indicator of your car to come on. A malfunctioning exhaust should be fixed on priority because there is a risk of combustion gases like carbon monoxide entering the cabin and causing a serious health hazard. Clutch replacement: The clutch is the component that connects the engine to the transmission. It tends to wear out faster in commercial vehicles. It has a long life, but if it malfunctions, driving may become impossible. A faulty clutch must be replaced or repaired. Head gasket replacement: The head gasket sits between the cylinder heads and the engine block. It is essential for efficient engine operation and to prevent leaks. Head gaskets can crack and develop leaks. A damaged head gasket must be replaced to prevent it from blowing. We also do other types of repairs such as cambelt change, brake repairs, cleaning the diesel particulate filter, gearbox repairs and steering and suspension repairs. For van or car servicing in Bury, look no further. We give you an easy and convenient alternative to the dealer garage. Just complete and submit the booking form and we will take care of the rest. You will get high-quality service without any hassles. 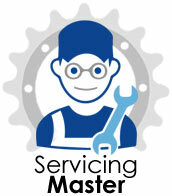 Book your service now to get easy and convenient car servicing at competitive prices. A small sample of our thousands of satisfied customers. These guys do what they say on the tin. I work for NHS so I am usually always at work these guys collected it while I worked, liaised via email as i couldn't answer the phone. Carried out the work and dropped it back off for me, Happy with the service and the nice touch at the end vehicle came back nice and clean! Booked online, great realistic price, none of this cheap drag you in and shake you down when you get there. Car collected from work, serviced and mot all done and straight forward, I needed an additional bulb which they rung me and told me. Car delivered before I finished work and they even gave it a long awaited wash and vacc Lol! All done from my desk at work defiantly be using them for my wife and daughters vehicles! Top service, knew straight away what the problem was. Had it back next day which was great, glad I've found a garage I can use in the future would defiantly recommend. Even gave my car a wash.
Great people to deal with. Trusted with my family's cars for many many years. Great service, go the extra mile. Thoroughly recommend for anyone looking for work on their car whatever the marque. Had my car service and mot with Bury branch. Excellent service kept me posted with everything they were doing. Professional, friendly and helpful definitely recommend them. Thanks. Just a quick line, I have finally found a garage where I have complete confidence. Professional and informative, Lisa and Mike are a pleasure to deal with. Thank you. Just wanted to give feedback on my recent experience with Volksmaster. From my initial enquiry through your website to completing the work, the customer service was fantastic. My enquiry was answered quickly and I was able to book an appointment on the same day that I telephoned. The cost was a fraction of that from the main dealer and I will definitely be coming back if anything else goes wrong. Absolutely superb service, I cannot fault them at all. Very competitive prices and a level of warm professionalism that would shame main dealers. Dropped my MK4 Golf in first thing for a Haldex service and it was ready for early afternoon and gleaming from a wash down as a bonus. The mechanic also noticed an intermittent fault and scanned for fault codes, gave me the print out and offered advice about the problem without any pressure to book in. Thank you. Could not be happier with this garage. I filled in to get a quote on line late at night and got a call 1st thing in the morning. I explained what was wrong with my car; as other garages were messing me around my car would not start. Spoke to Ryan who arranged pick it up for me, to get it towed to their garage branch (Oldham) where they said they would diagnose it and call me within the hour. They let me know what it was and how much it would be, kept me fully updated along the way and I could not be happier. My car needed a lot of work, which I knew, and all work was carried out to my satisfaction. The car drives perfectly, I cannot thank them enough for getting my car back on the road and keeping me fully updated in the process. I would highly highly recommend these guys and have told all my family and friends. They're also very friendly staff and very welcoming. Thank you! My car is Volkswagen Polo. I have been a customer for three years now and I cannot praise the service offered highly enough. The customer service is always warm and friendly and the technical advice and feedback is always well received. They are always willing to fit around your schedule as well, ensuring that courtesy cars will be available, or in the odd time I have been running late, someone has been available out of hours. Also, when work is required on my car, the technicians have always been willing to explain the problem, and show me the faulty components, and offer advice on how it can be prevented in the future. The team are all extremely professional and I always have confidence that my car is in the best hands when I pass over the keys. Thanks for providing such a great service.